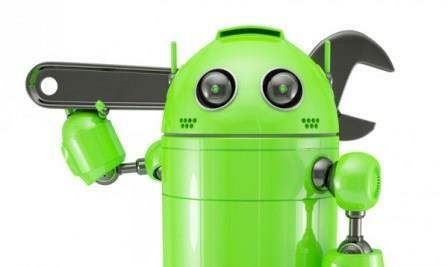 How to Supercharge Your Android Phone Without Root: One of the best things about the Android Phone operating system is that it can do so many different things with it , taking full advantage of each device and its Android system features are almost “Unlimited “ . For the type of users you want to get a little more out of your Android smartphone is almost inevitable not learn of the various ways to hack your device , making the already famous as Root . By doing Root to a device the user can really shape his smartphone to image, without having to purchase a new device to get new features. But for users less comfortable with all of these processes , there is still the possibility to supercharge your device without needing to perform Root . None of the processes that will be presented will need to hack the device itself , and none of them will require super user permissions ( Root ) . 5 simple and very quick Steps to apply that can help you get more out of the Android device you have. 1- Currently the actions initiated through gestures are increasingly useful and usually to create new gestures in a device would need to conduct Root. Alternatively , you can install Nova Launcher application, which will allow you to create and define new gestures that can be applied in almost all areas of your smartphone or tablet. 2- The type of notification you receive on your device can be highly customized and one of the best ways to do that is certainly applying a new look and style to your notifications. One of the ways to change the look of your notifications is through Light Flow application that allows great customization of how your notifications will now be displayed . 3- The touches of manufactures available in most Android smartphones are very few and are not very attractive , at least . But with Android and everything is possible with an application such as Zedge will be able to implement new ringtones and notifications without any difficulty. 4- Through the creation of own widgets will put in your Android a truly personal and unique image that other systems do not offer . Although UCCW application is not really easy to use , there are several sites and forums that teach all the essential elements to create their own widgets. 5- To customize your Android smartphone or tablet will not need to be restricted to Google Play. Will be able to find various icon packs and highly customizable themes on sites like DeviantArt and My Colour Screen . Here are the first basic tips on how to supercharge your Android device without the need for any special procedure to perform Root. Even without access to super user permissions , your Android device will finally become a single fully customized to your display device !